At the last moment I was asked to attend the UN Framework Convention on Climate Change in Bonn Germany from the 2-5 June 2015 to talk about carbon farming and highlight our experience of savanna burning projects at a side event on savanna burning developed by UN University. It was an opportunity too good to pass up and was a huge learning experience. Bonn was largely seen as the lead up to the Paris 21st 'Conference of the Parties'. There is a real buzz around Paris as expectations are building that an agreement will be reached and an expected 40,000 people will attend. Most people think a legally binding agreement can be reached but the question is open on what the targets will be. INDCs shall make it possible to track progress and achieve a collective ambition level sufficient to limit global warming to below 2°C relative to pre-industrial levels. To this end INDCs shall comprise a mitigation goal which represents a progression beyond current undertakings of the Party. That goal needs to be transformed into an eventually legally binding mitigation commitment under the 2015 agreement, and must be transparent, quantifiable, comparable, verifiable and ambitious. Once this transformation has taken place the contributions are not ‘intended’ anymore. 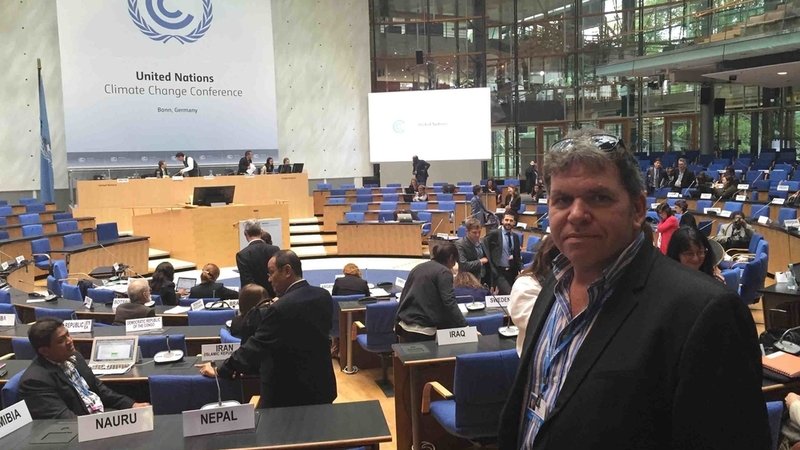 At the side event I gave a presentation on savanna burning with a particular focus on the Kowanyama project and the challenges all 14 Indigenous projects face across the north of Australia. The fact that only two Indigenous projects were awarded contracts under the Emissions Reduction Fund and there is no domestic scheme that values social, cultural and environmental co-benefits were part of the presentation. However, on the whole, we have a positive story to tell about a new sustainable industry emerging on Aboriginal lands. I participated in the Indigenous Peoples' Caucus each morning and assisted to draft the statement that will go to all parties. They were very welcoming of Australian Aboriginal people’s participation and I gave my introductory comments in Pitjantjatjara! Newer PostTo CFI or ERF?